Ideal gifts for Valentine’s Day with Cabtree and Evelyn! 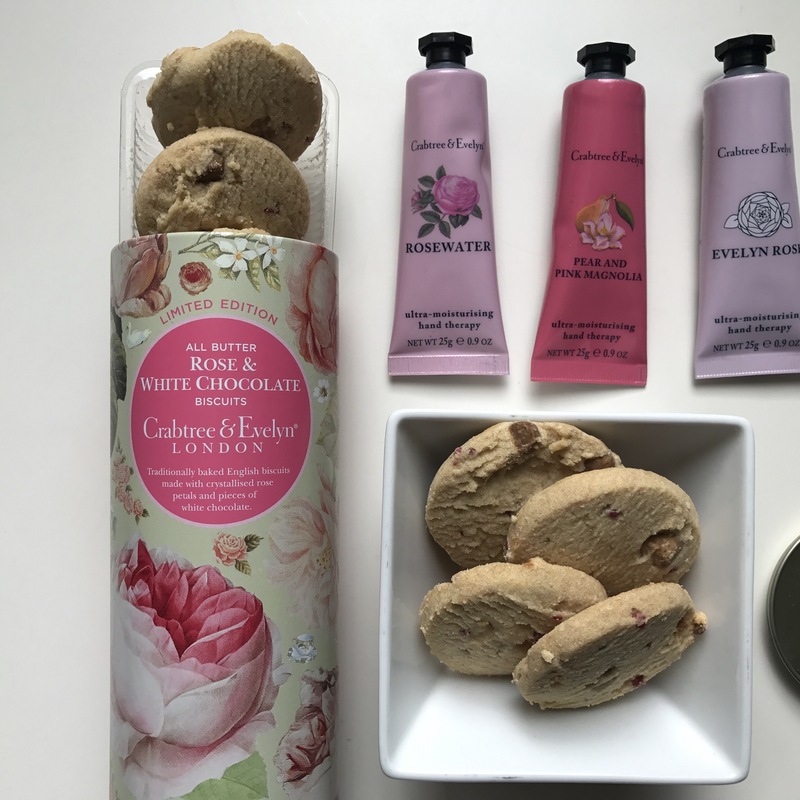 As Valentine’s day is looming I thought I’d share some super cute gift ideas from Cabtree and Evelyn if you want to treat yourself or the person you love! These gifts are perfect for a best-friend your mum and either your partner, there’s something for everyone! 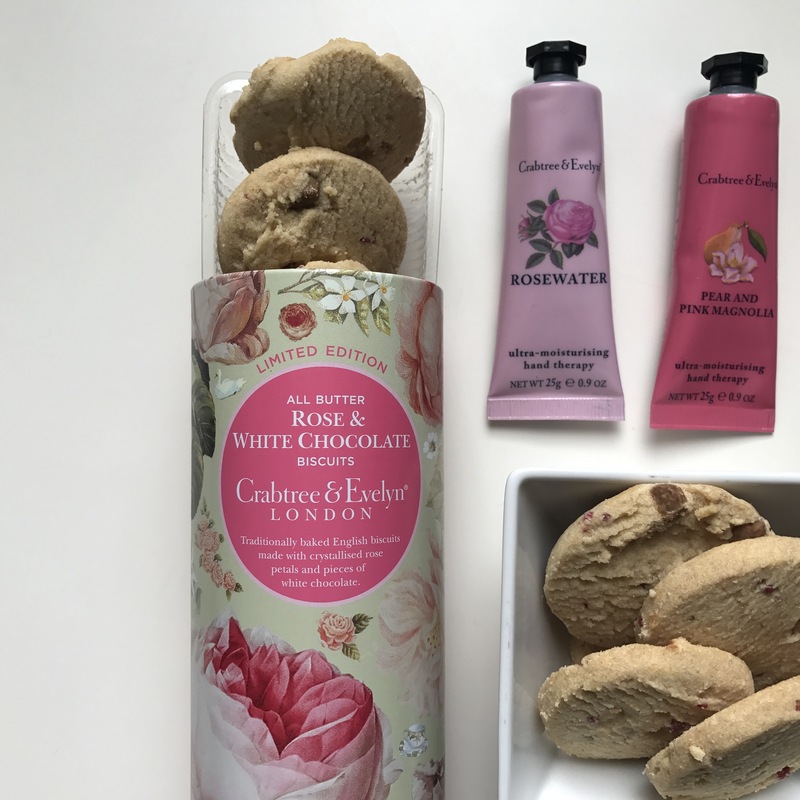 Limited Edition All Butter Rose & White Chocolate Biscuits – Firstly, can we just talk about how cute the packaging is! 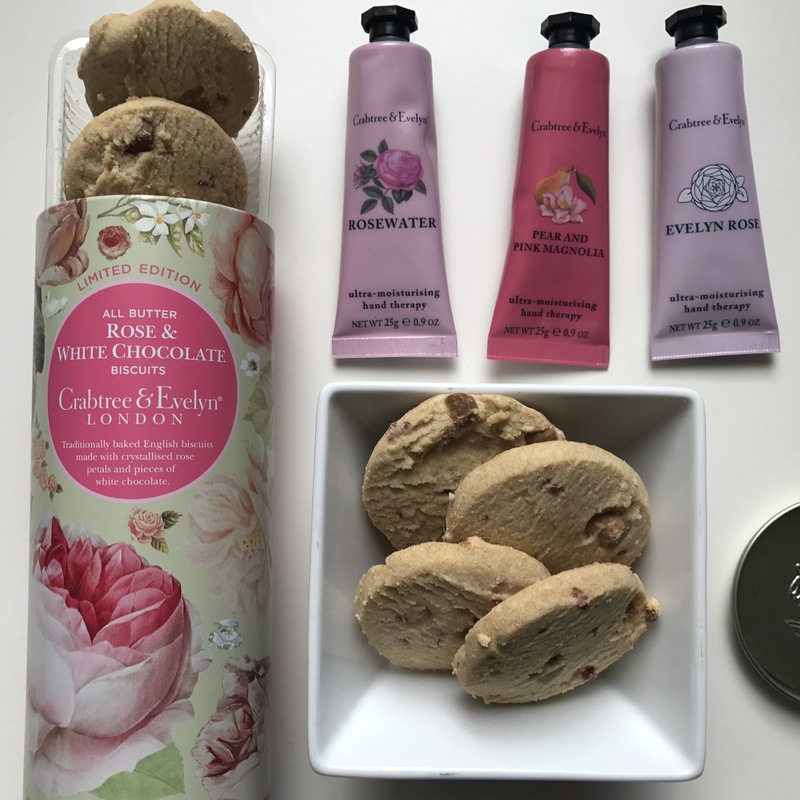 The cookies have white chocolate and rose petals in which were honestly so nice. For someone who loves tea these were prefect to enjoy whilst sipping my tea. I wasn’t so sure, but I’d definitely try another assortment. 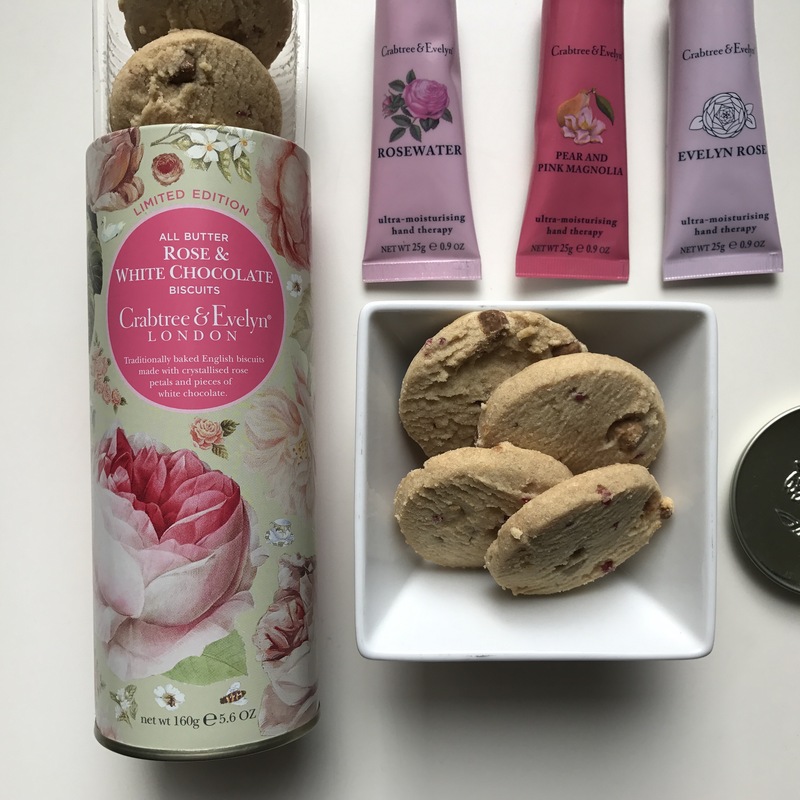 Rosewater Hand Therapy – I do love rosewater and this was perfect. I mean love a hand cream in my handbag or college back I mean it’s every girls necessity. 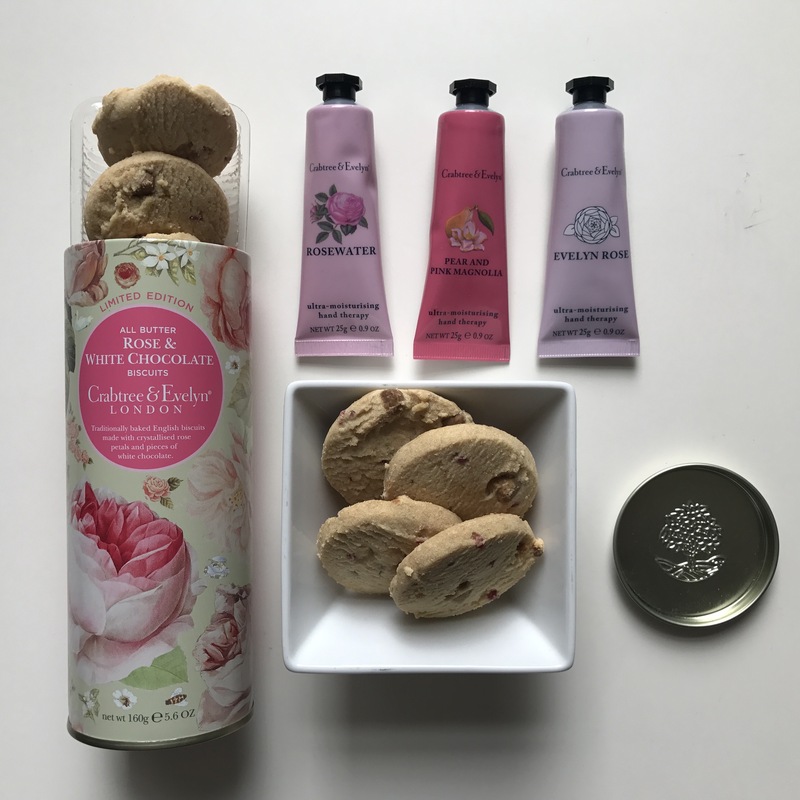 Pear and Pink Mongolian Hand Therapy – Like the cookies I wasn’t to sure how to react to the combination but honestly the scent is so nice and both hand creams which are scented are so nice. 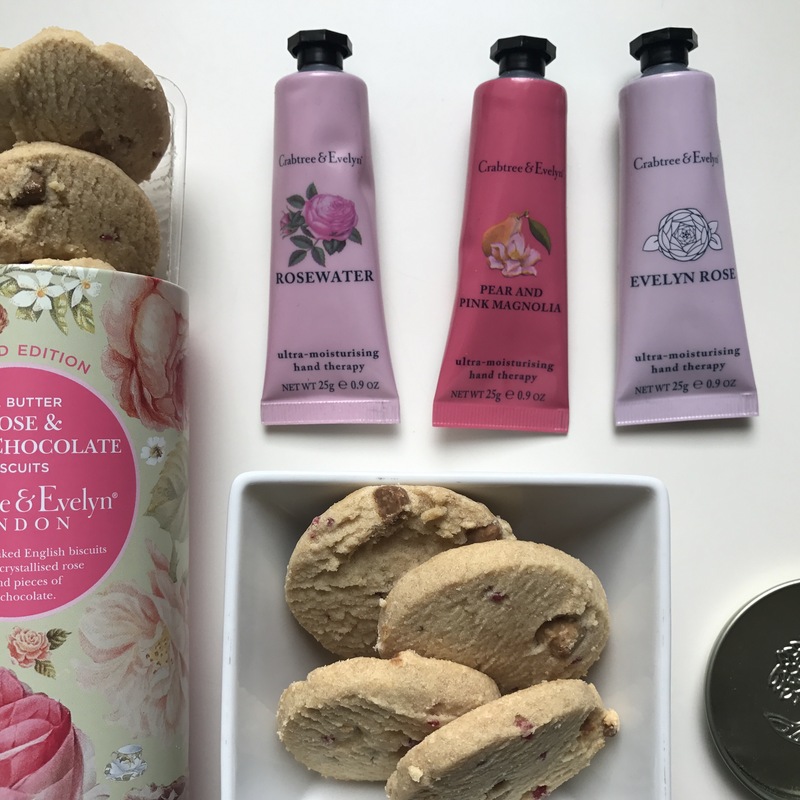 Evelyn Rose Hand Therapy – Having a natural hand cream is always good as it’s more subtle. I do love these as they absorb so easily and aren’t too thick as well as the perfect size for my bag. I do love all these little items as they’re prefect little gifts. Especially for Valentine’s I mean you can’t go wrong! What do you do on Valentines day? Comment below. « Essentials for an everyday make-up look!